Re-imagined by the creative spirit of Director Daryl Walker, this children’s classic tale is being taken on with a new, modern twist. Set in many familiar locations around Hong Kong, this production is sure to catch the imagination of its young performers and audiences alike, with clever use of costumery, back-drops and props that give Walker’s vision a distinctly local flavour. This year’s distinctive show-poster (above) was also designed by show co-director James Gold, who drew inspiration from both local and fantastical elements to create a stunning visual representation of the show’s unique modern twist and steam-punk inspired dilapidation. This showstopper is full of catchy musical numbers and spell-binding acting performances by our very young performers, with some of the best vocal performances ever to have been part of our productions. We are especially looking forward to some of the rip-rousing solos by the cowardly lion, tin-man, Dorothy and others – we promise you won’t be disappointed! 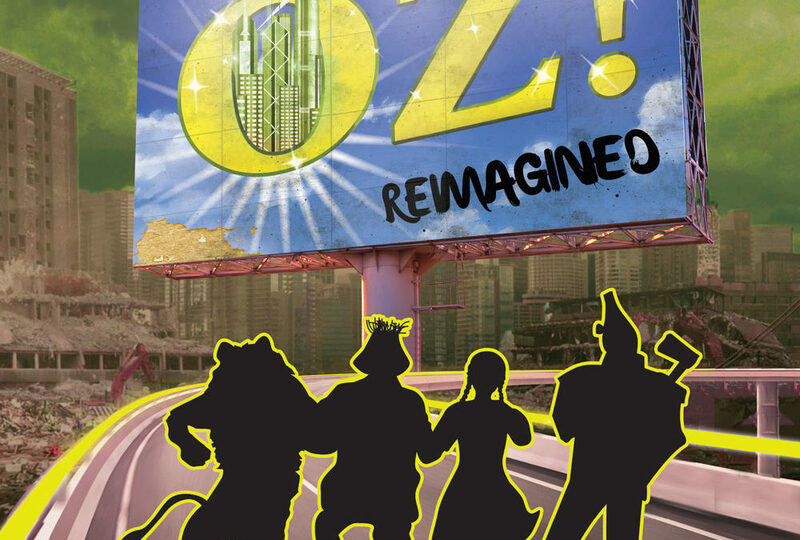 Oz! : Reimagined hits the stage in Y-Theatre, Chai Wan on 19 & 20 February 2017. Tickets go on sale Feb 2nd 2017 on www.urbtix.hk – don’t forget to book yours early to avoid disappointment!